Last week I Got a chance to dedicate Guest Blog Post @ Vembu Technologies Blog which is a privately held, information technology company that specializes in developing software products in Backup, Disaster Recovery and cloud storage domains. 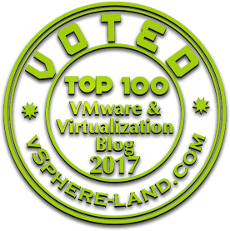 Vembu’s products serve data center IT-Administrators in small and medium businesses managing VMware, Microsoft Hyper-V and Physical Server environments and was founded in 2002. 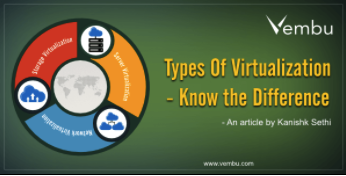 So thought of dedicating the blog post talking about the most important question which is asked from me when delivering various VMware Courses i.e the various Types of Virtualization, Dedicated this post to give a quick overview and providing the link Types Of Virtualization – Know the Difference to the original post dedicated at Vembu's Blog.